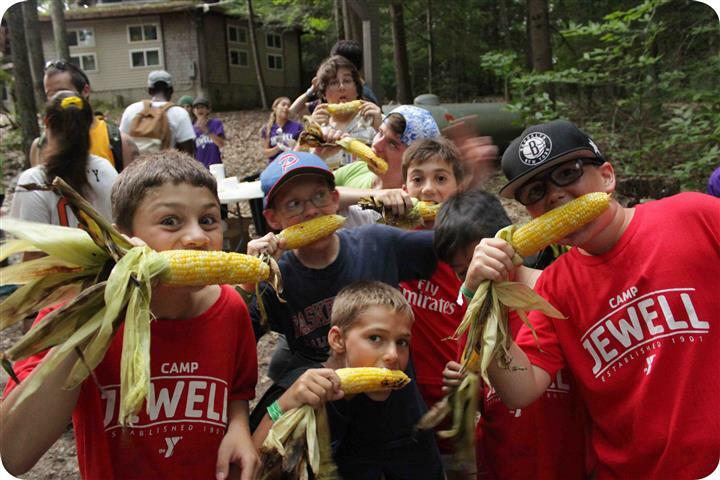 Each year we hold several events at camp and throughout the New England region to help bring camp friends together. Events focus on maintaining camp traditions, keeping alumni connected and providing opportunities for alumni and their families to enjoy all camp has to offer. Our most traditional alumni event, dating back to the summer of 1944, is the Lewis Fox Annual Corn Roast held every August. You remember it from when you were a camper or a staff member … the corn roasted all day over the firepit in front of the Dining Hall, and enjoying it, freshly dipped in a can of melted butter, on your way up to the Council Ring for evening campfire. For alumni, it’s that and a lot more. It’s a chance to come back to camp, perhaps introducing camp to your family or other friends for the first time, to see the places where some of your best memories were made and check out some of camp’s latest improvements. Four years ago we introduced the Doug “Scoobie” Ahrens Distinguished Alumni Award, which is presented at Corn Roast each year. Past recipients have included Scoobie, Charlie Hanscomb, Allen Beavers, Paul Berkel, Gordon Hodne, Gary Forster and Paul Kamin. There’s no fee for the event. This upcoming summer’s Corn Roast is set for August 10, 2019 beginning at 1 p.m. We hope to see you there!